National Spank Out Day is April 30th. Lots of people don’t want to spank their children, but they don’t know what to do instead. With that in mind, I’d like to share an excerpt from my book, Grace-Based Living to offer some alternatives to spanking our children. Somehow our culture has gotten so far removed from the way God designed children to grow that age-expected behavior is a source of great stress and worry for many parents. I was talking with a woman once who expressed frustration about my suggestion that she didn’t need to spank her children for things she put an incredible amount of energy and effort into making sure they were no longer doing by the time they were five. I responded that they were things that children outgrow around the time they turn five no matter how they are parented. This thought had never occurred to her before. When my first child was doing things, I wasn’t always sure that everything was normal. In fact, it wasn’t. My oldest has some developmental issues and is on the autism spectrum. I’ll be sharing more about this in a later chapter. But when my second child was doing things I would panic and then remember, “Oh, Liam went through this about this age.” My second child was a very good sleeper and when she would have a rough night, I would respond out of my fear that things were going to go downhill, because my experience with my first-born involved terrible sleep issues. Eventually, though, I realized that in a night or two she would be back to sleeping through the night because that is how she was born. 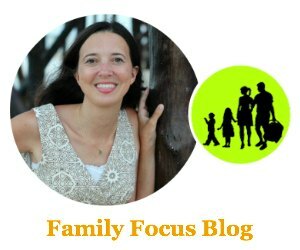 By the time my third child was going through the stages I’d already been through, I was taking them in stride because I knew that it was a stage, not a final destination. I had two children already beyond that developmental place and knew we’d get there again. Now I’m watching my twins go through stages we’ve seen three times already and very little surprises me. I’m enjoying going through it with two at once, but it’s the same stages again. Yes, every so often someone puts a new spin on an old game, but it’s mostly routine now. There was a time when people were all raised around children and knew what to expect at different ages. Having a two year old hit another child didn’t ruin anyone’s day or cause them to question their ability to parent. Neither did it cause anyone to question the spiritual maturity of the parents or the state of the child’s heart. Hitting is just something two year olds do sometimes. It is an immature expression of very real feelings and thoughts. When my children hit as toddlers I take their hand in mine and say, “No hitting. Hitting hurts. I won’t let you hit me (or whoever).” That’s all it takes. If they move to hit again, I stop them and remove them. But I also address what is prompting them to hit. If it’s an immature expression of frustration, then I make sure to hear the message – that something is frustrating them! Usually removing the frustration, or showing them how to resolve it, resolves the issue. Of course, I do this as often as necessary. In the book, in addition to sharing some tried and true parenting methods and alternatives to spanking for dealing with everything from tantrums to more extreme behavior from children with special needs, I share what I call the Grace-Based Discipline Window. It shows what is needed from parents, and what goals are reasonable, for different age and stages of childhood. It is the key to creating your own tools that will be effective for your child. There is no formula for parenting that will take the work out of building relationship and learning how to relate to your child. Thankfully, within relationship, you are in the best position to “discipline” – teach – your child. What are some successful parenting techniques that you have tried as alternatives to spanking? Thank you for sharing the excerpt from my book. I’m linking to your site and hope lots of people check it out. You’ve got some great things here. I’m honored to be featured.